Well! 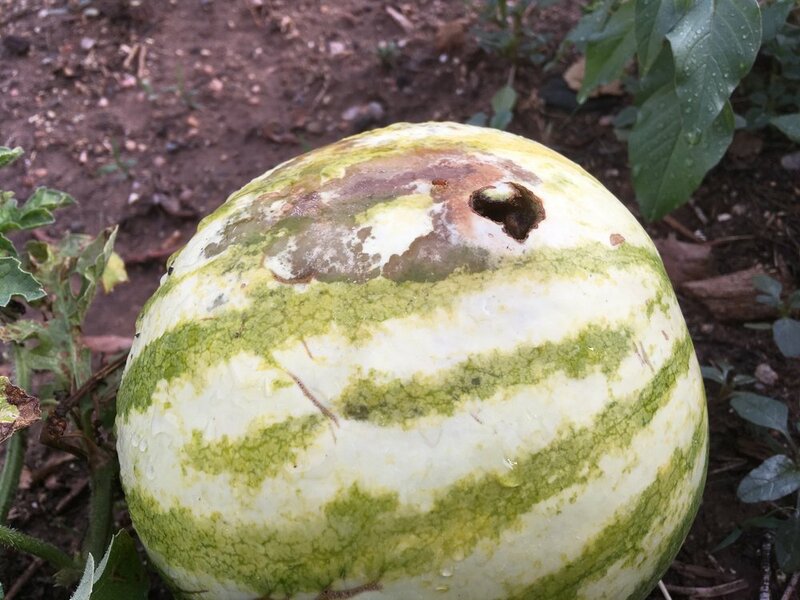 We have our first harvest—an emergency delivery performed when the melon took a sudden turn for the worst. Apparently the pockmark left by July’s hailstorm didn’t heal well after all. 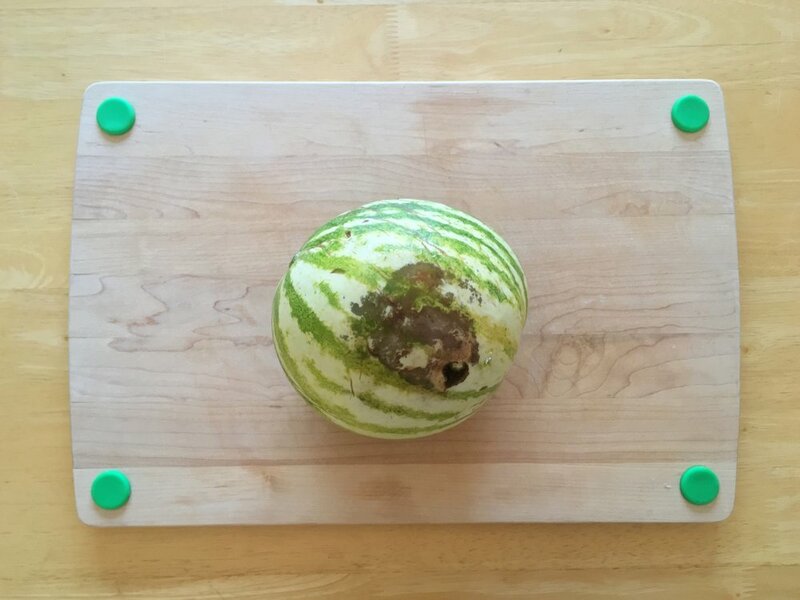 For several weeks the fruit continued to grow and glow, but then the melon’s shiny green skin went brown and soft overnight. 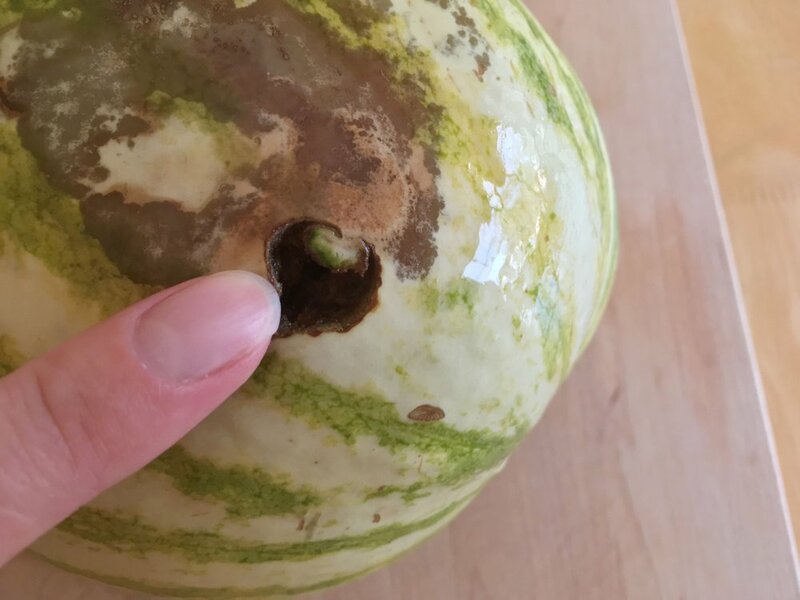 We’ve severed its umbilical stem, separated it from the only mother and home its ever known, brought it to the alien world that is our kitchen, and rinsed its flesh. Time for exploratory surgery to see how deep the damage goes... is it a lost cause?